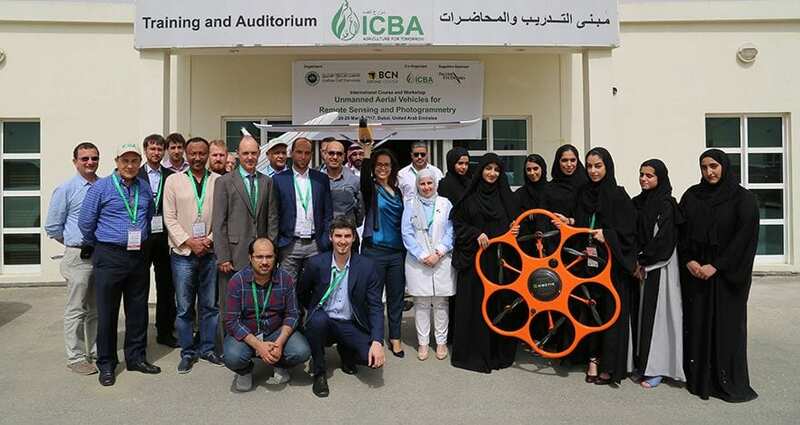 A BCN Drone Center team traveled to Dubai to conduct the first drone remote sensing course in collaboration with the Arabian Gulf University (AGU). The course lasted 10 days and combined the theoretical sessions with the practices. The new ATMOS-7 acquired thermal and multispectral images from the International Center for Biosaline Agriculture (ICBA) that allowed students to experiment with post-processing software.